SEO methods and secrets are being widely discussed on the Internet but one interesting SEO technique is usually ignored. 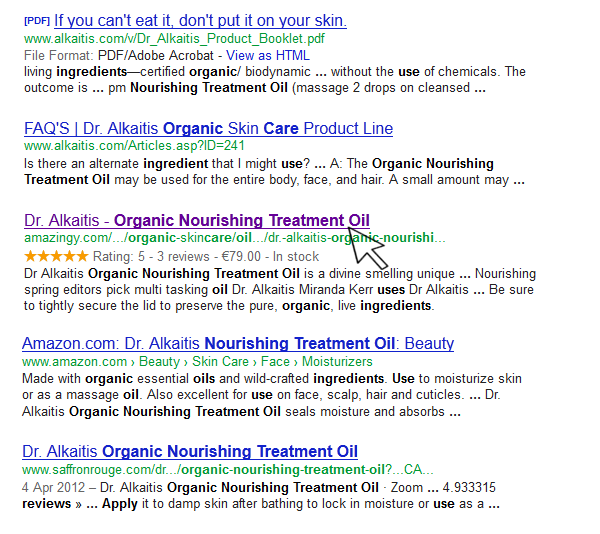 If you are obsessed with your website SEO, consider the possibility to add Google rich snippets markup to your site. Several months ago we have issued the “Google Rich Snippets” add-on for the e-commerce system CS-Cart and now we are pleased to see how this add-on helps our clients stand out from the competition in the search results. So, let’s talk about rich snippets for e-commerce websites and see what SEO effect they can have. As you probably know, a rich snippet is an additional information about your website page which is shown near a search result. In particular, it is a visual way for e-commerce websites to display products, prices, and reviews effectively in search results. One of the results has a title and a description which include such useful information as a price, number of reviews, rating with stars, in stock information. It is obvious that this result looks more appealing and outstanding from the boring text-only listings. Highlighted information about the product (stars, price, etc.) in Google search results attract attention and it results in more clicks and therefore more traffic to a page. Rich snippets provide instant information as related to the query and therefore can help to reduce the bounce rate. People have a sense of what a web page may contain and are interested to learn more. Google rich snippets don't influence any Google ranking directly. So, if Google can't find your website pages according to your search quires, snippets won't help you in this direction. But here is one big point to consider. Rich snippets can bring more qualified visitors to your pages. It is a known fact that Google encourages websites with quality traffic and considers traffic information while evaluating a website page rank. The system does not guarantee that rich snippets will be displayed correctly in search results even if structured data is marked up and can be extracted successfully according to the Rich snippets testing tool. But according to our experience (our clients' websites) Google rich snippets work fine upon the conditions that the website information can be successfully interpreted by Google, the marked-up data is correct and not hidden from the user. Now it's high time to add rich snippets to your e-commerce website because rich snippets are still something new and not used by everybody. It means you get a real chance to stand out from the competition, motivate end-users to click on your pages and therefore increase sales. "I will definetly use snippets for my site. But guess Google will stop supporting them as soon as everybody starts using markup in hope to benefit on SEO. Nevertheless we still have some time."